We're now over a week into December and the many festive sessions are about to roll in. Whether its a work Christmas do, a festive sesh, new years or just a big ol' party for sure you will want to look absolutely peng. Although its rather daunting when you're in an old t-shirt, hair in a messy bun, staring into the abyss that is your wardrobe and not having a clue what to wear. So over the next few blog posts, I'll be sharing a few winter trends that I've been loving and think would be perfect for any get together over this time of year! Velvet is one of those fabrics that can make you feel glamorous in every setting. Lately velvet pieces have typically come in navy, rich purples, and darker tones for the autumn. But as Christmas is approaching, winter brights and pastels are a perfect way to make your outfit stand out from the crowd. 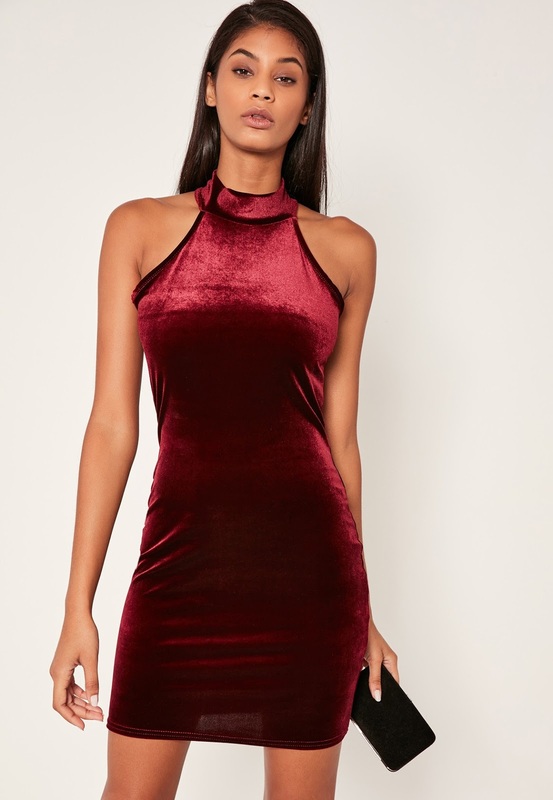 If you're someone who wants something to ease into the velvet trend for the season, your best bet is a red dress as its looks flattering on every skin tone and is a staple colour for Christmas. A body-con dress will give the fabric a smooth finish and a romantic, elegant look. For any girly-girls out there, baby pink velvet has been phenomenal on the runway this year. This pink baby-doll dress is very Melanie Martinez, and would definitely get Karen O's approval on the #BBHOODZ. A piece like this is easily transferable from casual daytime to dreaming evenings. 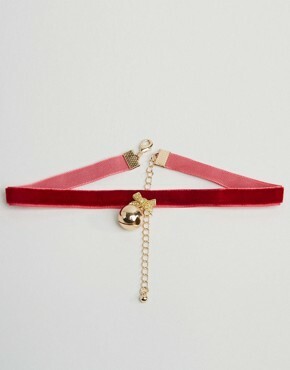 If you want just a hint of texture for your outfit, then a velvet choker would add a simple extra touch. Chokers have been non stop on trend for the whole of 2016, so why not end the year with one more? This festive one from ASOS reminds me of the little ribbons you get round the Lindt chocolate reindeers and Santa's and would be such a cute little addition to any outfit. These purple velvet platform over-the-knee boots are giving me life. They look like something Daphne Blake from Scooby Doo would rock on a night out. For this statement pair of boots, a little black dress and a diamante choker would be a perfect midnight outfit for New Years.